Ryan Gerecke, the author of this true account, is currently serving as a Ministry Intern here at BCOM. BCOM has a weekly required outreach. Here, Ryan gives his account of one week when he was a student doing outreach at the University of Minnesota campus.This is the final edition of the three part series. Click to read Part 1 and Part 2. That night God revealed something to me I had never thought about before…..
We often use the Bible as this very personal book that we read when we are by ourself having devotions, quiet time, or quality time with the Lord (whatever you want to call it). We write in it about things that are only for us to see and things that stick out to us, or look for scriptures that can help us through the day or season that we are in. Although this is not a bad thing, I believe that we are limiting the power that the Word of God has. It has the power to save someone! This is not only the manual for our own lifestyle, but it is the manual for missions and evangelism. The world needs to see the things that are in this book. They need to be asked the questions that are brought up in it. The Bible says in Romans 10:17, “so faith comes from hearing, and hearing by the word of Christ.” As Christ followers we are to share with others what God has spoken in His Word. I think too many times when we do evangelism we leave the Bible at home, or in our pocket and try to lead someone to Christ without it. There is power in the Word. How can we keep a hurting and dying world from knowing that there is life that is in the Scriptures? How can we keep this weapon tucked away? 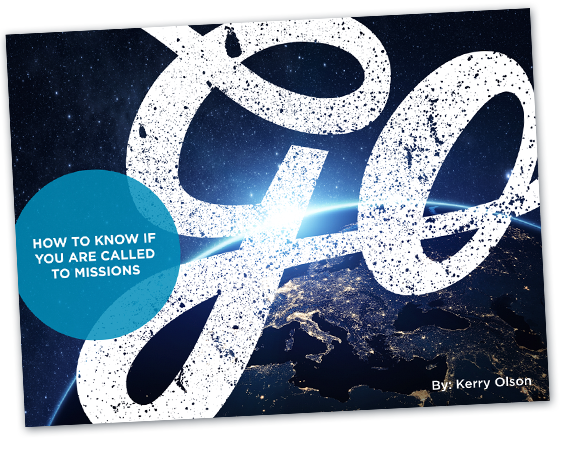 It needs to be drawn and used for the purpose it was intended – world missions!